The 300S Template is made from heavy card stock for single-ply tracks. Designed for 3.00 pitch tracks that are 15" x 141". Studding options include 94 studs with double support plates, 141 studs with single/double support plates, and 94 & 141 studs with single support plates. Center belt studding patterns only. 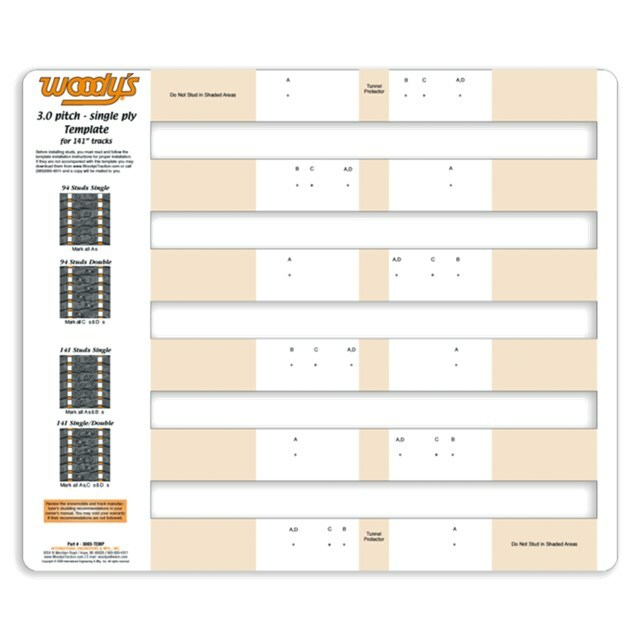 NOTE: Only for use with Woody's Grand studs and support plates.